Old wrench on rusty surface. 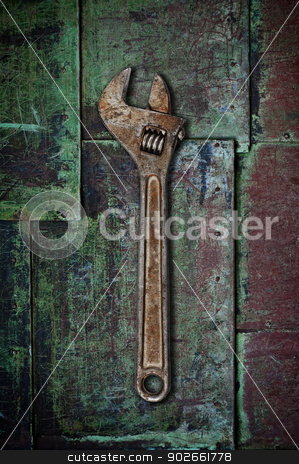 Photo of Old wrench on rusty surface. Old wrench on rusty surface sheet metal.